No Victorian garden was complete, without some herbs – and spring was the perfect time to get them started. Not only were they used in the Victorian kitchen, they were used to help keep the home clean and fresh smelling. Herbs were also used for their medicinal properties, along with their cosmetic value too – with the essential oils also being added to unscented products, to suit a lady’s favourite scent. However, herbs were also an essential part of pest control too. Selective planting of herbs among your vegetables ensured the bugs were enticed away you’re your essential food sources. Certain flowering herbs were also edible delights too, brightening up salads and adding décor to cakes and deserts. This fast-growing annual herb could be enjoyed raw or cooked. Parsley symbolised gratitude and could be used fresh or dried. It was used to treat kidney problems and dysentery. Slow growing, sage was often associated with wisdom, by the Victorians. Not only could it be used to treat toothache and hot flushes, it was often used to preserve and flavour food. This slow growing herb was a favourite accompaniment to lamb. Symbolising remembrance, it was often married with sage, to be used as an insect repellent and in the treatment of head lice! Under the Victorian’s art of flower meaning, Thyme was all about courage. This slow growing herb not only had a varied use in the kitchen, it was also used as a disinfectant and to loosen mucus in chesty coughs. Great for headaches, the flowers were often used to break a fever and ease menstrual cramps. 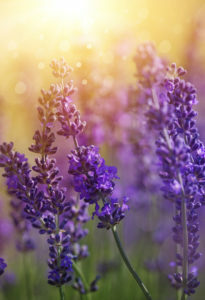 A firm favourite, dried sprigs of lavender were frequently hung or folded amongst clothes, to keep them fresh smelling. It was also used as decoration, as well as flavouring to jellies. These edible flower heads were often seen on decorated cakes. They were frequently planted amongst cabbages and tomatoes, to encourage growth. Mint symbolised virtue to the Victorians. It’s a perennial and slow growing plant, used to decorate and flavour dishes. The uplifting scent of Bergamot was used to bring balance to mood swings, especially for those suffering from depression and nerves. It’s also a great tonic for those suffering from indigestion, coughs, flu and even colic! These white and yellow flowers symbolised comfort, and is that any wonder? 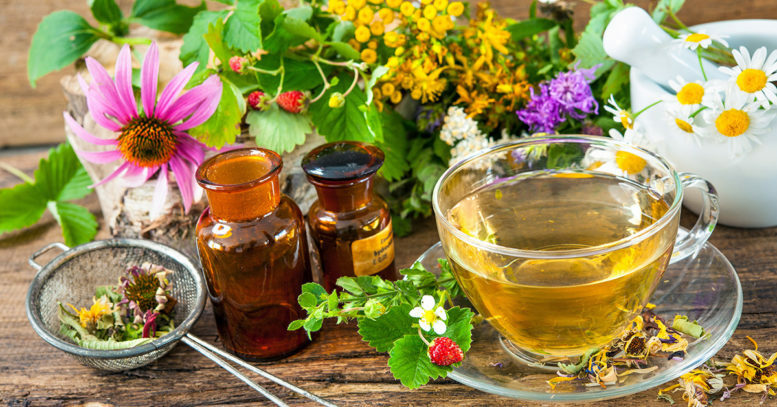 Chamomile tea, made from the dried flowers, was frequently used to aid sleep, as well as treating anxiety and insomnia. Due to its antibacterial properties, it was also used to treat wounds and burns.